Marlette Community Schools received a $2,500 grant from the SET SEG Foundation in partnership with the Michigan Association of School Boards (MASB) on March 12th at the March School Board meeting. 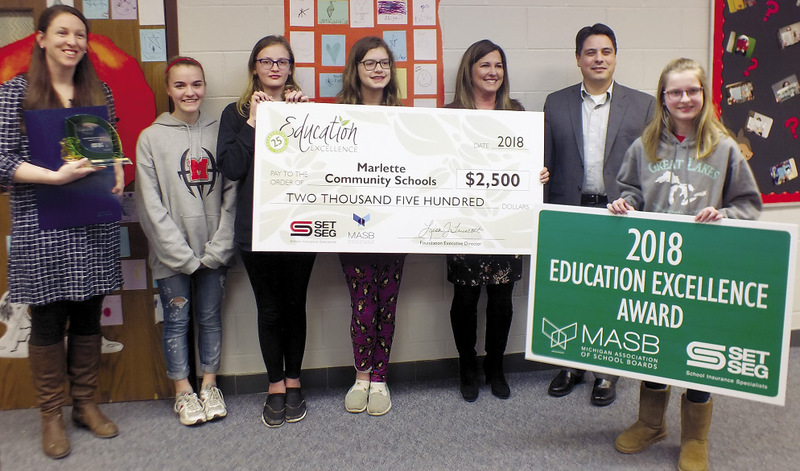 The District has been awarded a 2018 Education Excellence award for their Marlette Art Club. 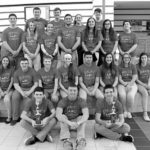 Marlette Art Club’s mission is to better themselves and their community through the arts. Marlette created after-school art clubs for students in third through 12th grades. While third through sixth grades focus more on the creation of art and different art experiences, the seventh through 12th grade Art Club focuses on community involvement in the arts. The Art Club has painted fire hydrants, decorated windows downtown for the holidays, planned and worked a community-wide Art & Auction raising money for Art Scholarships for two graduating Marlette seniors, as well as the Empty Bowl and Art Show that raised funds to support the school’s art programs. With the Education Excellence Award, the club will add summer art camps, art supplies, purchase a pug machine to recycle clay and provide more art related experiences for the students. The Education Excellence Awards are in their 25th year and are produced through a partnership between the SET SEG Foundation and MASB. This year, in celebration of the anniversary, the SET SEG Foundation awarded $2,500 grants to 25 extraordinary Michigan public school programs. Education Excellence Award recipients receive a $2,500 check to grow their program, and “Education Excellence Winner” road sign, and trophy. This year, the SET SEG Foundation received hundreds of applications from schools throughout Michigan working to have a positive impact on their students and community. The SET SEG Foundation is a branch of SET SEG and is fueled by its mission to enable students to pursue enrichment opportunities that advance learning, leadership and civic responsibility by providing services, scholarships, grants and financial support directly to Michigan public schools and Michigan public school students. Mrs. Opperman was not only recognized by Lisa Truscott of the SET SEG Foundation but State Representative Shane Hernandez as well.